COLORED VELVET WITH AMOUR CRYSTAL BODICE ON BACK, GRAND SILVER OR JACKIE-O SILVER BUTTONS, AND SILVER LEGS. 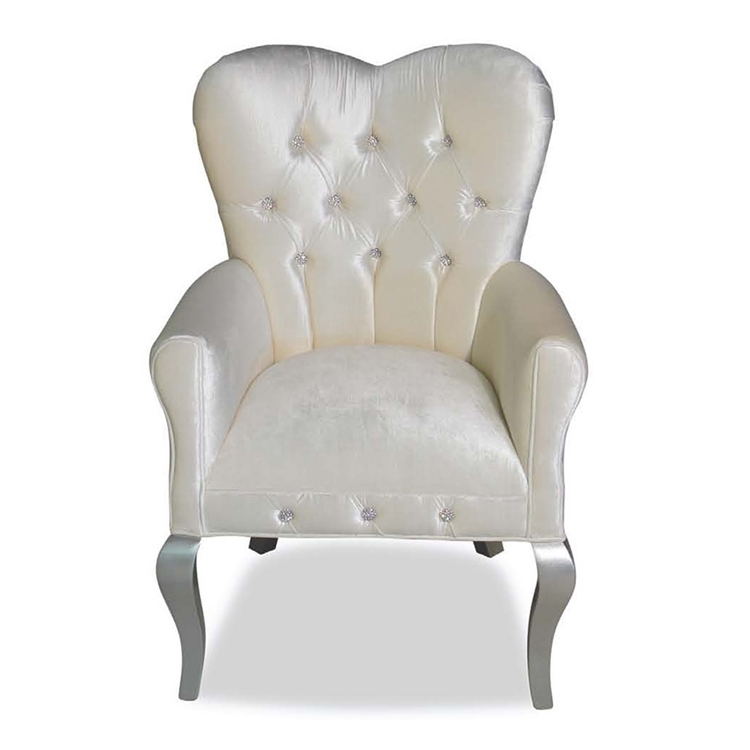 When you see this lovely Amour chair, "the world seems to shine, like you've had too much wine." The heart shaped back, shimmering buttoned detailing, silver legs and glittering accents will leave you feeling woozy with delight like love at first sight. Customize any Haute House Home piece to your liking. Available in (2) colors: IVORY and PINK. Item sold as show online and is offered in (2) different colors. Amour bodice on the back varies in size and design as it is hand-beaded. Due to its delicate in nature, the beads may fall off. Boxed weight of chair is approximately 50 lbs. Call 323.256.2800 or email info@hautehousehome.com for custom options. ©2014-2018, Haute House. All Rights Reserved.